British Virgin Islands Activities, British Virgin Islands Hotel, video British Virgin Islands Activities Vacations: Virtuoso Travel Advisors: Recommended by Channel TV: Get value, priceless British Virgin Islands vacation information, free upgrades, family, group and honeymoon specials, renowned service. 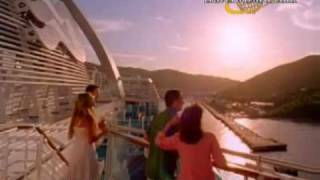 Caribbean Cruise Video: Cunard Videos Cunard Caribbean and America Cruise Video: The perfect Cunard Cruise planning tool. 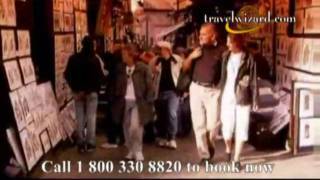 Discover our collection of Cunard Cruise tour videos and Cunard Cruise travel videos. Spice Island Beach Resort Video: Grenada Video Spice Island Beach Resort Video: The perfect Caribbean vacation planning tool. Discover our collection of Caribbean vacation videos, cruise videos and hotel videos. The Cove Atlantis Resort Video: Bahamas Video The Cove Atlantis Resort Video: The perfect Caribbean vacation planning tool. Discover our collection of Caribbean vacation videos, cruise videos and hotel videos. 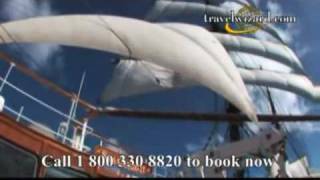 Sea Cloud Caribbean Sailing Video: Sailing Video Sea Cloud Caribbean Sailing Cruise Video: The perfect Caribbean vacation planning tool. Discover our collection of Caribbean vacation videos, cruise videos and hotel videos. 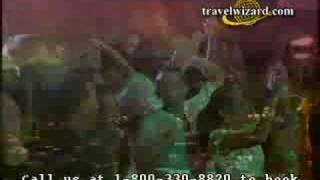 Princess Caribbean Cruise Video Princess Caribbean Cruise Video: The perfect Caribbean vacation planning tool. Discover our collection of Caribbean vacation videos, cruise videos and hotel videos. Grace Bay Club Resort: Turks and Caicos Video Grace Bay Club Resort Video: The perfect Caribbean vacation planning tool. Discover our collection of Caribbean vacation videos, cruise videos and hotel videos. Turks & Caicos Vacations, Turks & Caicos Honeymoons, video Turks and Caicos Vacations: Virtuoso Turks and Caicos Specialists: Recommended by NBC and Travel Channel TV: Get value, priceless Turks and Caicos vacations information, free upgrades, family, group and honeymoon specials, renowned service. Casa de Campo Resort Video: Traavel Video Casa de Campo Resort Video: The perfect Dominican Republic vacation planning tool. Discover our collection of Dominican Republic vacation videos, cruise videos and hotel videos. 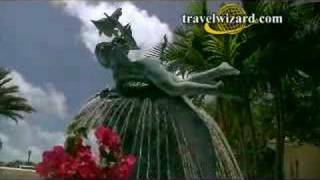 British Virgin Islands Travel Video: BVI Videos British Virgin Islands Travel Videos: The perfect British Virgin Islands vacation planning tool. Discover our collection of British Virgin Islands vacation videos, cruise videos and hotel videos. Saint Vincent Vacations, Saint Vincent, Grenadines, video Saint Vincent Vacations: Virtuoso Saint Vincent Specialists: Recommended by Conde Nast, NBC and Travel Channel TV: Get value, priceless Saint Vincent information, free upgrades, family, group and honeymoon specials, renowned service.